For six years in the early 1920s activist and writer Rewi Alley and his business partner Jack Stevens farmed an isolated property in the Moeawatea Valley, 40 kilometres inland of Waverley. Alley withdrew from the partnership in 1926 and went to China, where he spent the rest of his life. 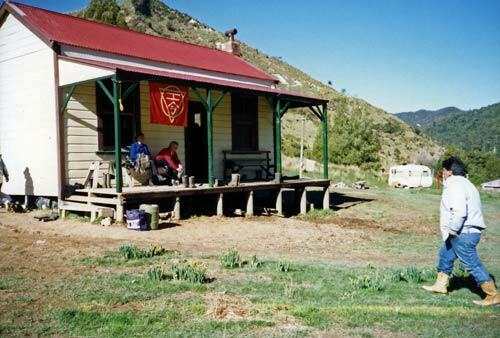 In the late 1980s the derelict house was restored by a Conservation Corps team under the auspices of the Wanganui branch of the Historic Places Trust.